American supernatural, sci-fi mystery drama, The OA , debuted on Netflix in December 2016. Described by critics as “astounding” and “brilliant”, the eight-part series was lensed in its entirety, over 86 days, by British cinematographer Lol Crawley BSC, who selected, with the endorsement of both his director, Zal Batmanglij, and Netflix, Panasonic’s VariCam 35 for the production. Created and executively-produced by Brit Marling and Batmanglij, The OA focuses on Prairie Johnson (played by Marling), a young, adopted, blind woman who resurfaces after having mysteriously gone missing seven years before. Upon her homecoming, to a small town in Michigan, she calls herself "The OA", exhibits disfiguring scars on her back, and can now see. She refuses to tell her adoptive parents and FBI investigators about her disappearance, nor the restoration of her eyesight, and assembles a group of locals (mostly high school students) to whom she gradually reveals that information, whilst also explaining her life story. She enlists their help to save other missing people, who she claims are stuck in another dimension. Crawley’s long-form credits include Four Lions (2010), Hyde Park On Hudson (2012), Mandela: Long Walk To Freedom (2013) and The Childhood Of A Leader (2015), for which he was nominated in 2017 for an ASC Spotlight Award. However, it was the sense and mood he created for Ballast, about the gradual emotional and physical recovery of a fractured family – which earned him the top cinematography gong at the 2008 Sundance Festival – that attracted the attention of Batmanglij. In his pursuit of the creative looks for The OA, Crawley says he was inspired by two notable modern stills photographers: Gregory Crewdson, whose dramatic and cinematic images of small-town America frequently involve disturbing and surreal events, and Todd Hido, whose long-exposure photographs of urban and suburban housing at night-time have an ethereal, ghostly aesthetic. 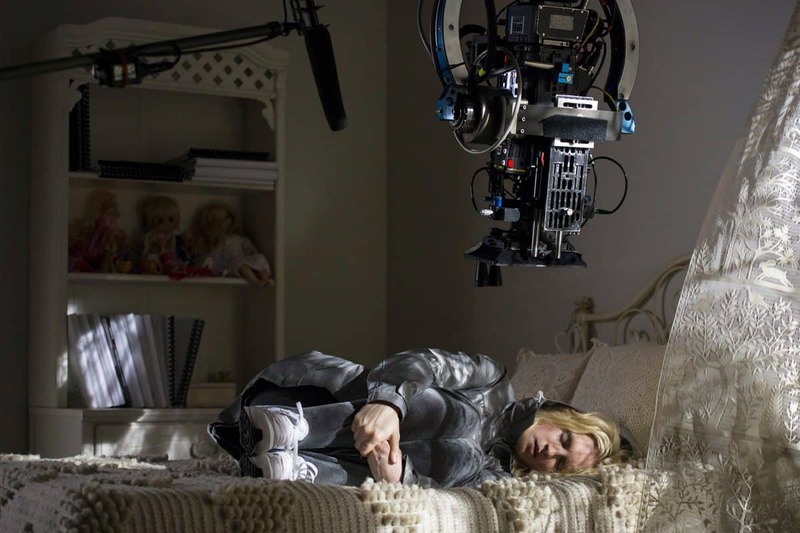 Accordingly, to explore the visual qualities of high ISO cinematography, Crawley carefully considered a selection of 4K-capable cameras during pre-production – including RED, Sony F55, F65 and A7s, along with the Panasonic VariCam 35 – shooting extensive night-time tests at the locations that had been selected for the production. The exteriors were shot on a partly-built housing development in Woodbury Hills, north of Manhattan, with interiors shot on sets built at Kaufman Astoria Studios in Queens. "The Anamorphic look, when combined predominantly with slow, tracking and Steadicam moves, and the natural lighting, helped to give the story scenes a more cinematic style, compared to the more discovered, rough-around-the-edge, handheld style I went for with the Super Speeds on the Crestwood elements." For the story scenes, Crawley paired the VariCam 35 with Panavision G-series Anamorphic lenses, but framing in 16:9 aspect ratio due to the delivery specification, with spherical Zeiss Super Speeds for Crestwood. 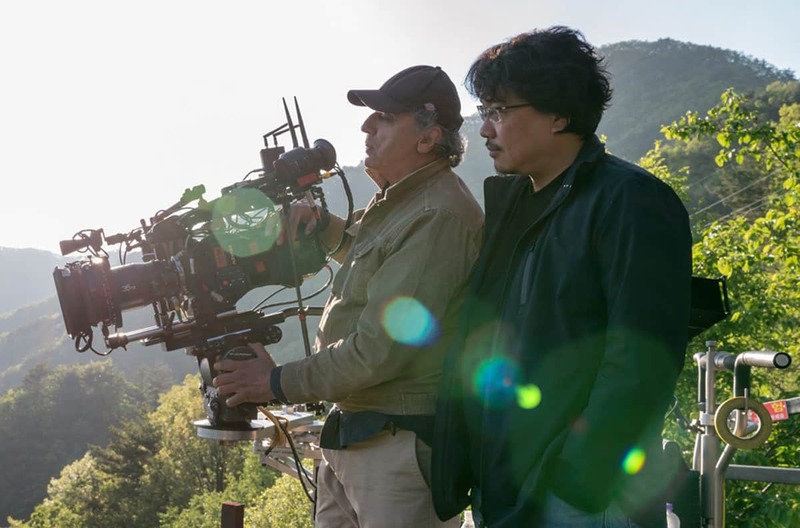 The camera and lenses were provided by Panavision New York. The cinematographer operated as much as possible during the shoot, particularly the handheld scenes, with Rod Calarco operating Steadicam and B-camera. Although Batmanglij and Crawley started the project without a HDR finish in mind, they revisited this capability during the final DI grade at EFilm in Los Angeles with colourists Tim Stipan and Tom Reiser. “Whilst Netflix had stipulated 4K origination, HDR was not an absolute necessity,” says Crawley. “Perhaps the best way for me to describe HDR versus non-HDR, is that it is like the difference between looking at a 35mm slide and a printed photograph. With HDR, the light appears to come from within the image, as if you were holding the slide up to the light. HDR imagery has more elaborate and intense colours, as well as brighter glows from practicals and other lights on-set, but with the detail retained in the highlights. But it might be a while before Crawley gets his hands on one of those, as next up for the cinematographer is Brady Corbet’s Vox Lux, starring Rooney Mara, shooting on 65mm and 35mm film.